People often mix up dental implants and dentures. While it’s a bit easy to see how both are confused with one another, they offer completely different therapy. Only a dentist knows which treatment options are right for you and will work to correct any problems that might persist. But, choosing which treatment to apply is key. Why would a patient need dental implants instead of dentures? Why are dentures necessary but not dental implants? These and many more questions will be answered as we discuss the differences between dental implants and dentures. When the need to replace missing teeth or totally replace the natural teeth with some type of alternative arises, dentures and implants are the most common options to use. Both options are worthy of consideration, however, there are a few important differences between the two that can make each option a better choice for certain situations. The first difference off the bat between dentures and implants is that traditional dentures are designed to be removed as a patient wishes. Upper and lower dental plates involve molding a section that fits nice and snug over the gums. It’s usually held in place with the use of some type of dental adhesive. The adhesive also acts as a barrier between the natural gums and plates, helping to reduce the chances of irritating the gums. Many denture wearers choose to remove the plates at the end of the day. With dentures, Waco residents have dental freedom. On the other hand, dental implants are actually embedded into the gums and are permanent. In other words, you can’t take them out. Once they’re there, they’re there. Implants function like real teeth, in that they are held in place by the gums and do not require any type of adhesive or product to ease irritation or maintain a proper hold. They can be brushed just like real teeth and also aid in maintaining gum health. When it comes to tooth replacement, Waco residents know where to get their dental implants. At the end of the day, the choice between implants and dentures is entirely up to you and the dentist. Whichever treatment is chosen, you can rest assured that you’re going to experience a difference that will leave your mouth feeling clean and healthy. If you’re looking into receiving dental implants or dentures, speak with our staff and schedule a consultation with Dr. Cofer today. The best Central Texas dentist, Waco’s Dr. Cofer, is ready to transform your smile. We happily serve residents in and around the Waco, TX area including Bellmead, Robinson, Hewitt, Golinda and beyond. 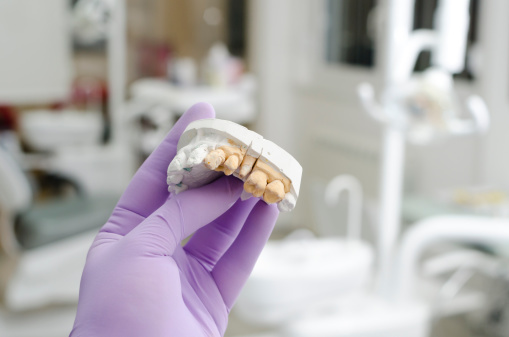 What’s it going to be, dental Implants or dentures? Each treatment addresses certain dental issues, but deciding which is better for you is up to you and Dr. Cofer. Learn the differences between the two!